Of course, now we have smartphones and tablets that can pretty much do everything we can imagine, then why to look for the best tablets for reading? Well, the display on these traditional devices are actually not suitable for our eyes for reading and can cause eye-strain on a longer session of reading. For reading purpose, E-Readers have been ruling the market globally and have won the hearts of many bookworms who just can’t get over their passion for reading. Well, there are many reasons to consider an E-Reader for reading purpose over a traditional tablet. 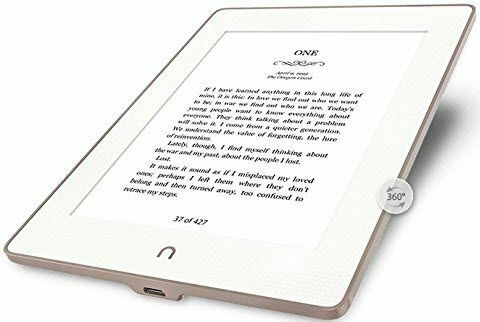 E-Readers feature a small and compact design with an easy-on-eyes display that doesn’t harm our eyes, moreover you can also store 1000 books at a time and they don’t break the bank as well, as most of the E-Readers come at a budget-friendly price. If you were planning to buy or gift someone an E-Reader then here are our top picks for best tablets for reading which consists of some of the best E-Readers from the market. However, if you like the idea of using your tablet for reading as well as for watching videos or browsing the web then we also have few traditional tablets on the later part of the list which will definitely quench your thirst for the reading tablet. Starting at $80, Amazon’s Kindle lineup has been dominating the market since very long as they provide all the necessary features to enhance the reading experience in a small and compact form-factor. Hence, for most of the readers, these Kindles will be the perfect choice. However, there are some points which you should consider before buying the best tablet for reading. 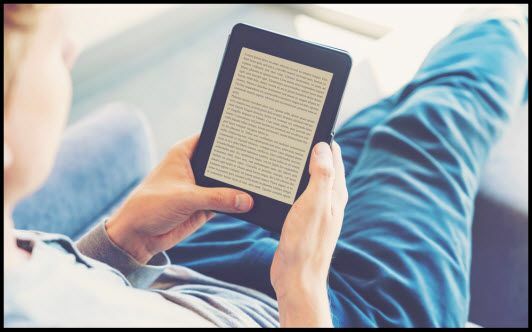 This section will help you to understand the features and specifications of an E-Reader so that you can make a perfect choice while buying a tablet for reading. If you wish to skip this section and move to the list of best tablets for reading then click here to skip. • What Type of Screen & Size? E-Readers feature E Ink screens to display texts. E Ink looks just like a paper and feels easy to eyes while longer sessions of reading. On inexpensive models, the display is not backlit, meaning you will need an external light source to read texts, just like reading a printed book, while some high-end models also feature a display with LED edge lighting with which you can adjust the brightness of panel according to your needs. In case if you choose to buy one of the traditional tablets for reading then you will need to suffer from distracting reflections as they don’t come with a glare-free display like E-Readers. However, these traditional tablets do offer colorful screens, means you will be able to read more than just a book like magazines and comic books. Best of all, the Amazon Fire 7 tablet which is definitely one of the best cheap tablets for reading, watching videos and browsing the web. • Do You Need a Waterproof Device? If you like to read by a pool or sea, then you might need to consider buying a Waterproof tablet, and none of the E-Readers from Kindle’s lineup provide Waterproof resistivity. However, we have two E-Readers in our list, Kobo Aura One and Barnes & Noble Nook which are water resistant with HZO Protection™ IPX8. • Wi-Fi OR Wi-Fi + 3G Connection? 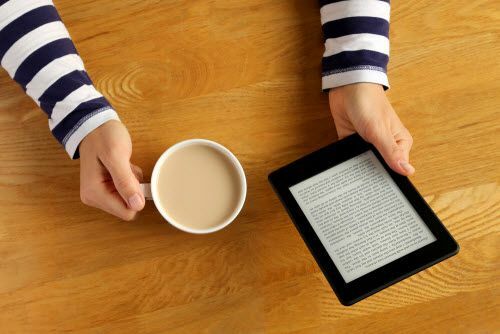 An E-Reader with cellular connectivity will enable you to download and buy books from anywhere, which comes available in most of the expensive models, whereas budget E-Readers only offer Wi-Fi connectivity. An E-Reader with only Wi-Fi connectivity should work fine for you if you don’t mind waiting until you are at home or have a hotspot nearby. • How Much Should You Spend? 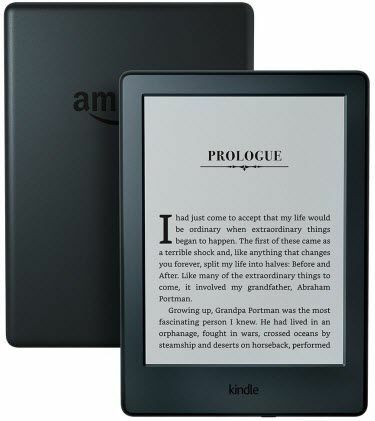 If you are quite low on budget then you should go with the base model of Amazon Kindle which is priced at $80. For most people, it has got all the necessary features. However, the more you spend the more features you will get, in-built LEDs lighting, high-resolution screen, more battery life, charging cover, cellular connectivity and much more. While, if you wish to buy a traditional tablet then you have a lot of good options for price less than $200 for reading purpose which can also suffice your other everyday requirements. So, hereby I assume that now you have a clear idea of specifications and features of E-Readers & Traditional tablets for reading purpose. So it’s time to start with our top picks for best tablets for reading. Amazon’s Kindle series of tablets are globally-renowned as digital books, for the ease and features it offers for reading lovers. This device is one of the latest in the Kindle’s series and is built elegantly to fit in the palm. The device weighs around 160grams making it one of the lightest devices in the segment. 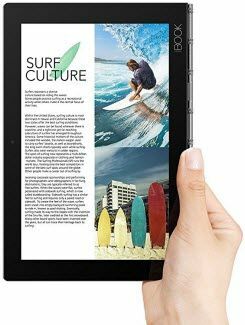 It sports a 6-inch glare-free display with Amazon’s E-Ink Pearl technology for an enhanced and better viewing experience. The tablet comes with 16-level of grey scales, which aids the readers to adjust the color brightness accordingly while reading. Speaking about other specifications, it is powered by 4GB on-device storage, which can be further expanded through the cloud storage. The device also comes with access to Amazon’s huge content of ebooks, which is a delight to any reader. The tablet comes with other connectivity features such as W-Fi and also supports WPA and WPA2 for authentication. On a single charge, the device can stay juiced up for unto 4 weeks, which is phenomenal considering the usage, i.e reading books. All in all, this is going to be an ideal device if you wanna free yourself from carrying a bundle of books along with you. This pint-sized pocketable device is all that you’d need. Kindle Paperwhite is one of the feature-packed, yet an affordable offering in the Amazon’s Kindle series of tablets. The device is available in black and white color variants and comes with a well-built ergonomics. The tablet is again a light-weight offering, which perfectly serves the cause it’s meant for. It sports a 6-inch high-resolution display with a pixel density of 300 PPI. The display on the device comes with absolutely minimal screen glare, even under bright sunlight. On the connectivity front, the device comes with both Wi-Fi and 3G options to stay connected. Speaking about the internal storage, it boasts 4GB of internal storage, which is pretty much sufficient for reading lovers. The device can be fully charged from 0 to 100 in under 3 hours, and the device is expected to last for weeks on a single charge. All in all, the Kindle Paperwhite is one of the best tablets for reading, providing tons of features at an affordable price. Kindle Voyage is one of the premium device in the Kindle’s portfolio and packs in tons of additional features when compared to its younger siblings. The device also comes with a 6-inch display and comes with 6 LEDs to bolster the device’s screen. The device also comes with an adaptive light sensor, which will manage the brightness as per the environment’s lighting conditions, soothing the overall reading experience. 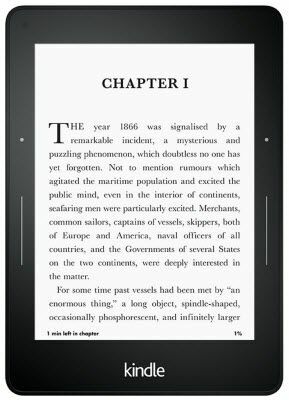 Using the Kindle Voyage, users need not turn the pages while reading, instead, they can just force press the page, to turn the page. The device is light-weighted for easy gripping and carrying and comes in only a black color variant. The display on the device comes with high-levels of grey levels and also comes with the anti-reflective display. Using this device, you can bookmark, your reading pages and can also resume them at a later point of time. The device latches on to a network by either WiFi or using 3G network. Just like its other siblings in the Kindle’s list, this device also stays juiced up for weeks on a single charge. 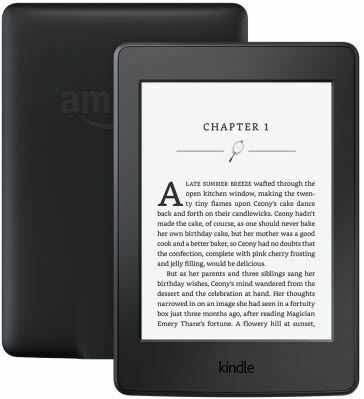 This is one of the highly-specced devices from the Kindle’s series which comes with physical buttons to effortlessly manage the device while using. The device comes with a 6-inch high-resolution anti-glare display which comes with adequate brightness levels to accommodate reading. The device comes with tons of ebooks’ access from the Kindle store, and to store them offline, it comes with 8GB of onboard storage. The device also comes with free cloud storage to store your favorites. The tablet comes with a hump on the back, which provides an additional grip to carry around while giving it a premium look as well. Kindle Oasis has been a best seller globally and comes with WiFi and 3G connectivity options. The device has over 16-depths of grey-level shades, which can be adjusted as per the user’s comfort. Kindle Oasis comes with best in class, vocabulary builder, parental control, and also allows you to set up personal goals in reading. These reading specific series of tablets from Kindle are globally-renowned and are the global-best sellers. The reason being, their powerful specs and really long lasting battery backup, which lasts over weeks on a single charge. This tablet from Barnes & Noble is unique in this segment. That said, this powerful reading tablet comes with a waterproof and dustproof protection and is built using durable aluminum. The tablet sports a 6-inch HD display with 300 DPI. The display on the device is provided with an anti-glare display to provide good sunlight legibility and cross angle readings. Under the hood, the device sports a Quad-Core Processor for faster and efficient performance. Although the device is primarily meant to be a reading-resorted one, it still serves quite a lot of other daily essential utilities as well. The device also comes with a list of connectivity options including WiFi, a USB 3.0 microSDXC/SDXC port, a Card Reader and more. The device although made up of an all-metal body, it weighs close to 11 ounces, making it very easy for the users to grip and carry around. The device is also expected to last for over 8 hours of continuous usage on a single charge, which is pretty ideal considering the usage. Kobo Aura ONE is one of the hot-selling premium reading tablets from the manufacturer. Although the device costs close to $300, it still is worth of every penny you’re gonna spend on it. That said, the device comes preloaded with a lot of features and options, which is sure to bolster and ease the reading experience to the users. The device sports a 7.8-inch Full HD E Int display with a resolution of 1872×1404 pixels. The display on the device is sharp, crisp, and provides the essential levels of grey to adjust as per the reader’s comfort. Under the hood, the device comes with a 1GHz Processor paired with 1GB of RAM. The tablet comes with 8GB of internal storage, which pretty much suffixes the usage. The device is also waterproof IPX certified. The display on the device comes with an additional blue-light night reading adjustment to comfort the reading in darker environments without straining the user’s vision. The battery backup is yet another core element in this tablet and is expected to deliver up to Weeks on a single charge. 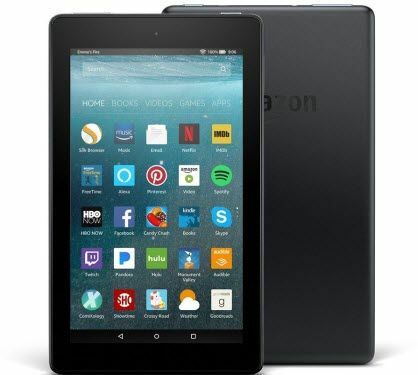 Fire 7 holds the record of being the best selling Fire tablet in the Amazon’s portfolio globally. The device sports a 7-inch IPS display with a resolution of 1024 x 600 pixels. Under the hood, the device is powered by a 1.3 GHz Quad-Core processor paired with 1GB of RAM for multitasking. On the storage front, it comes in two different variants to choose from i.e 8/16GB of internal storage, which is further expandable up to 256GB through a microSD card. This Fire tablet is basically a multipurpose device with specifications and features to accommodate most of the everyday usage. In addition to that, it comes with the Kindle store’ access to download, store, and read all your favorite ebooks at the go. The tablet comes in a varied color option to choose from including the Black, Marine Blue, Punch Red, Canary Yellow. The device gets fully charged in about 2 hours and is expected to deliver 8 hours of reading, surfing the web, watching video, and listening to music. All in all, this tablet is ideal for every user, who needs a reading device and a device to handle most of their daily essentials to give the productive touch. 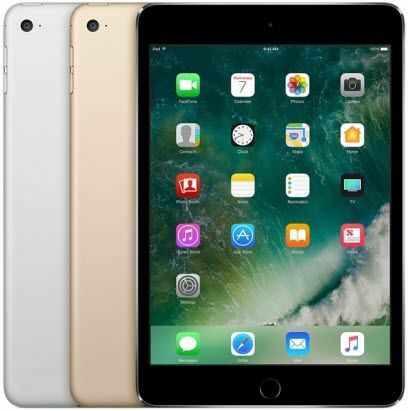 Apple iPad mini 4 as the name suggests is the latest and a rather compact edition in the Apple’s iPad Mini series. Accordingly, the tablet comes with a very compact form-factor and weighs just close to 10 ounces. The device sports a 7.9-inch Retina display which is crafted to perfection in terms of providing excellent viewing angles. The screen resolution of the tablet is 2048×1536 pixels. Under the hood, the device is powered by a Dual-Core A8 Chip with Quad-Core Graphics paired with 2GB of RAM and a massive 16GB / 64GB / 128GB of onboard storage. On the imaging front, the device comes with an 8 MP iSight camera to capture the moments with clarity. The iPad gets charged from 0 to 100 in under 2 hours and can deliver over 10 hours of continuous usage. The form-factor, the weight, the beautiful display, and an excellent battery backup are the primary reasons to consider this Apple’s iPad Mini 4 is an ideal choice for reading purpose. iPad Mini 4 is one of the best tablets for reading ebooks & other everyday requirements. Lenovo Yoga Book is the world’s most slimmest, thinnest, and lightest tablet in the world with a weight less than 2 lbs. Although the device is lightweight in terms of its weigh, its a fully loaded powerful tablet when it comes to features and specifications. The device sports a beautiful 10.1-inch large Full-HD display with a resolution of 1920×1200 pixels. The tablet is powered by a 2.4 GHz Intel Atom processor paired with a massive 4GB of RAM. It comes with an internal memory of 64GB, which is pretty sufficient for almost all the users. 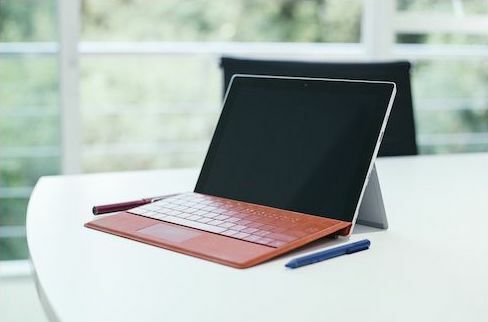 The key aspects to consider this 2-in-1 tablet as an efficient reading device is due to its easy to carry form-factor, the ease of making notes, sketching, and highlighting texts using its Halo keyboard, and more. The device runs on Android 6.0-marshmallow out of the box and is expected to receive the Android 7’ update soon. All-in-all, this device from Lenovo is for those who seek versatility and productivity on a daily basis, without compromising on performance. 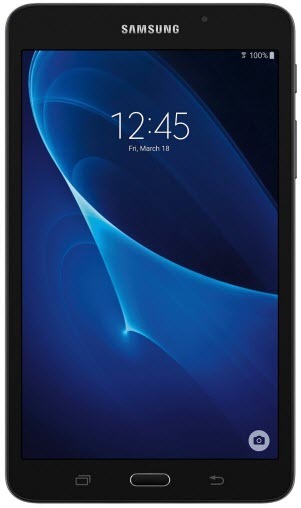 The Samsung Galaxy Tab A is a light-weighted, portable, and a budget-friendly tablet. The device comes with a 7-inch bright HD display with a resolution of 1280 x 800 pixels. The device under the hood, is bolstered by a 1.3GHz mobile processor paired with 1.5GB of DDR3 RAM. On the storage form, you get an 8GB of onboard storage, which is further expandable using a microSD card slot. bolstered with all these decent specifications along with a price tag of under $150 makes it a worthy contender in the segment. The device is light as mentioned earlier and comes with both the Google’s PlayStore and Samsung’s exclusive content to browse through and download. The device also comes with an exceptionally good battery backup, which lasts for over 10 hours on a single charge. All in all, the Samsung Galaxy Tab A7 is the best android tablet for reading you can get for the price. So these were our top picks for best tablets for reading. 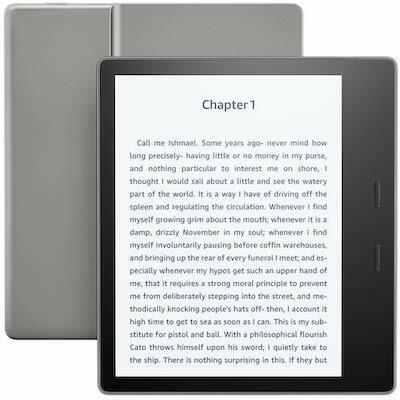 As we have seen that the Amazon Kindles have the best collection of books and they also provide all the necessary features at budget price. For those who need a waterproof tablet for reading they can go for the Kobo Aura One and Barnes & Noble Nook E-Readers. While some of you may want more than just an E-Reader, they can buy a multimedia tablet which can be used as a reading device as well as for other everyday requirements. Now it is up to you to make a perfect choice based on your requirements and budget. Mike Johnson is senior editor of this website - Tablet Under Budget. He along with the team of tablet professionals, helps people in buying best tablet within their budget. Welcome to Tablet Under Budget - A website where people can find and buy best tablet within their budget. This website is managed by group of tablet professionals who undergoes lot of research everyday to compile list of best tablets under different price ranges and for various requirements of people. So what screen size do you prefer for your tablet? And, how much is your budget? Checkout our Tablet Buying Guides to buy best tablet within your budget. Curious to know how we pick the best tablets for our tablet buying guides? Checkout our About Us page to learn more on that. We will send you Emails with best tablet deals and special discount offers. Every week! Tablet Under Budget Copyright 2019 Tablet under budget. All rights reserved.